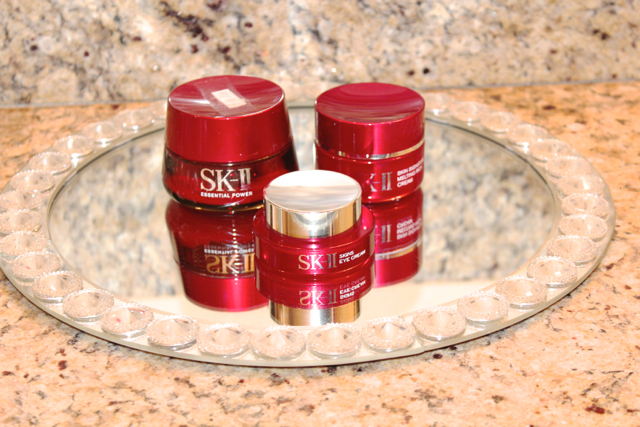 If there’s anything that I need to put a stop on splurging, facial skin care is NOT one of them. Let’s accept it! our face is the part of our body that being exposed ALL THE TIME, to the polluted environment, harmful rays from the sun, and don’t forget the chemical from makeup that we put on everyday, for most of us. I don’t get professional facial done on a regular basis as I should, in fact, I have not been to an esthetician for …10 years now. To make up for the slack, I always look out for the best skin care products out there. Keeping my ears out for all trials and reviews. For the past three years, I’ve been loyal to a few from this line. 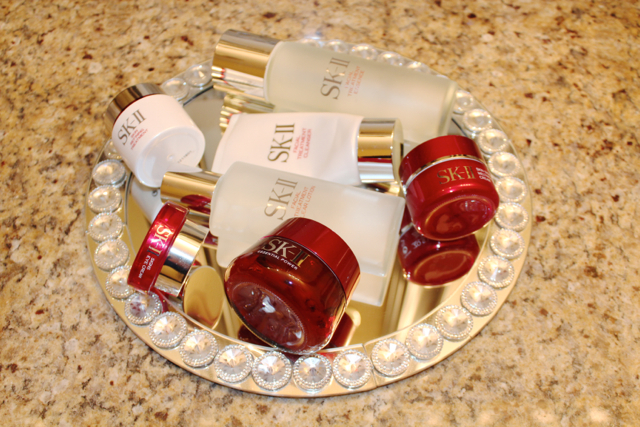 As Kate Blanchett said “it’s not part of my skincare rituals, it’s my skincare ritual.”…and so is mine. Disclaimer: This is not a sponsored post. I speak from my actual experience with the products. 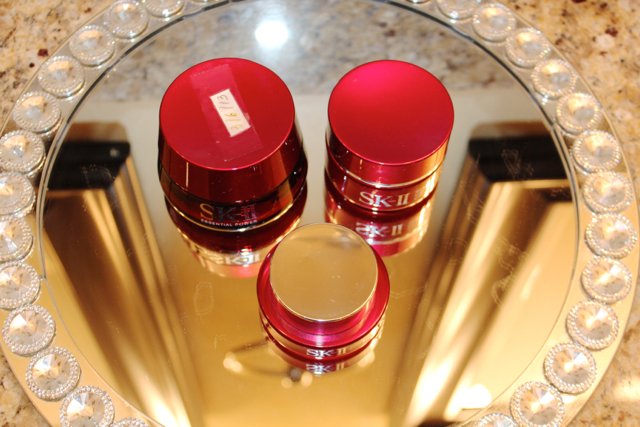 Today, I’m taking you to my actual SK-II products that I’m using. There are many, but I’m just touching base on the basics. 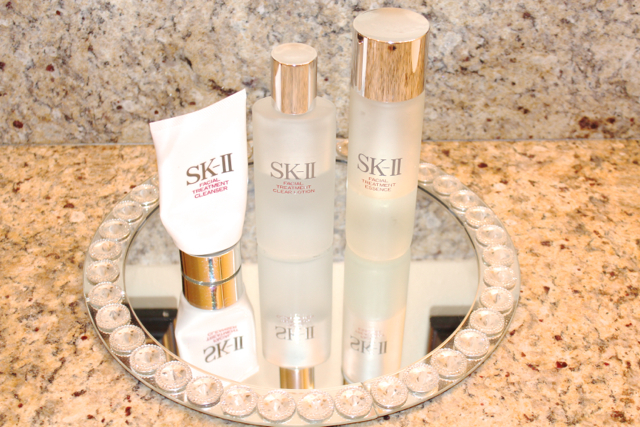 The three steps below are the beginning, Cleanser, Clear Lotion, and Treatment Essence as they are vital in prepping for clean foundation for the nourishment from night cream to absorb. I LOVE Clear Lotion, used it with cotton pad, it picks up any trace that the cleanser leaves behind. It exfoliates and removes dead skin cells. Facial Treatment Essence is very critical as it contains the largest quantity of Pitera to help improving texture, tone, spots, etc., and minimizes wrinkles…Just a couple drops to saturate your hands and press onto the face. Essential Power Cream helps delay my wrinkles and gives me velvet smooth texture, makeup goes on like a dream with this cream. If you notice there’s a date I put on top of the Essential Power jar. It helps me track the time to see how long it lasts, and I have been having it since Mar 16th, 2013! Signs Eye Cream is great, but to fight puffiness, this does not help much for me. Also, a great trick to use eye cream, emulsify the product with two of the ring finger tips then press onto under the eye area. I only use Melting Rich Cream in few cold months, you don’t need to have it unless your skin is really dry all the time. When testing out a new facial product, it’s always good to ask for samples since we all have different reaction to different ingredients. Nordstrom is a great place for it. They always have sample containers prepared. Occasionally, sale associates will give a hard time, I buy the product, then ask for sample to go with it, at least I can use the sample before open up the brand new jar, just in case it does not work out.